Outwardly, Malini is a contented, sixty-something grandmother with a loving family and everything a person could wish for. But Malini has lived her entire life with a secret confined to the deepest recesses of her heart. Haunted by the past, she travels to Kumbakonam, her native town, which she had left years ago. There, she comes face-to-face with her long-lost love. After forty years, will Malini be able to reclaim her own life, when love comes knocking at her door once again? 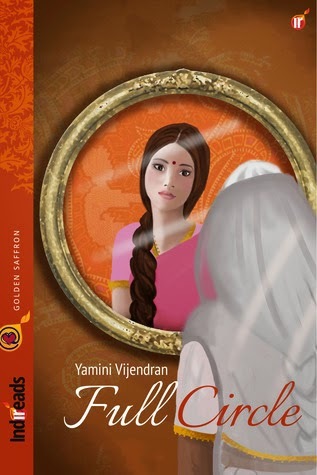 Yamini Vijendran (@saimini) is the author of ‘Full Circle’, a romance novella published by Indireads. After being a Software Professional for 7 years, Yamini has been freelancing from home for the past 3 years. She loves to dabble in fiction and romance and drama are her favorite genres. Her short stories have been published in ‘Love Stories That Touched My Heart’, an Anthology published by Penguin India, New Asian Writing and Six Sentences. 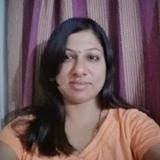 Yamini also likes to pen poems when inspiration strikes, and her poetry has been published in The Indian Review, Contemporary Literary Review of India and ‘A World Rediscovered’ a poetry Anthology by Cyberwit Publications. Yamini draws material for her stories and poems from the world around her. When she is not converting her experiences to stories or poems, Yamini reads, plays with her toddler, and fools around her laboratory, that is, the kitchen.